In January 2017, I was asked again by the safety equipment manufacturer to develop a set of characters to represent their intents and commercial insights for their new brochure. This time, like the previous two, it was for a product representation. Several reference images were gathered of men at work, and the drawings then took on a more muscular appearance to show strength in using the product. 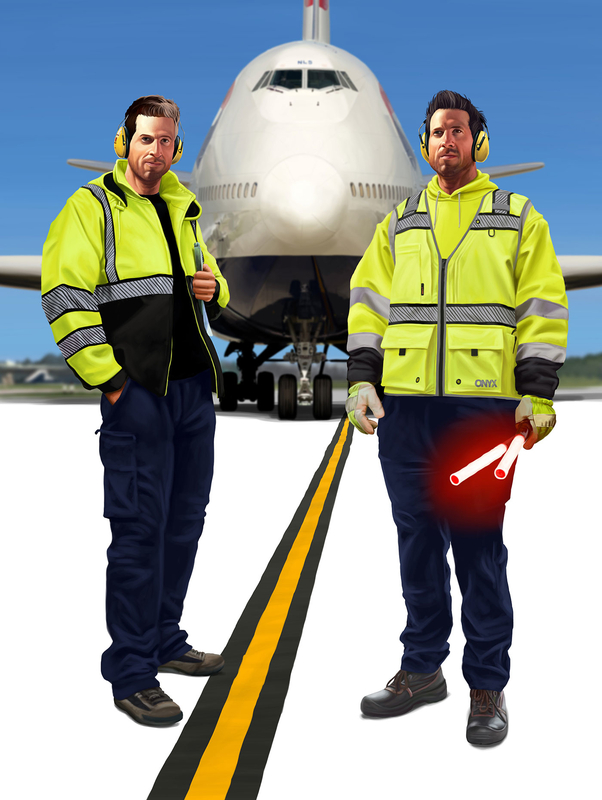 The idea was initially to have a tow truck driver, but this proved too hard to realise, so it was switched to airport ground staff. So that these two figures could be, if desired, used together in some form. It was even a case of using the same colour palette for the skin tones so they matched in look and feel. Everything went well on this rendering, with only a slight head size change and some additional aspects added at the clients request, and slight aspect changes for the brochure. The piece was rendered using 12 different reference images to get lighting and muscle form working well. The airplane in the back was also rendered in digital painting and blurred to give the idea of distance. 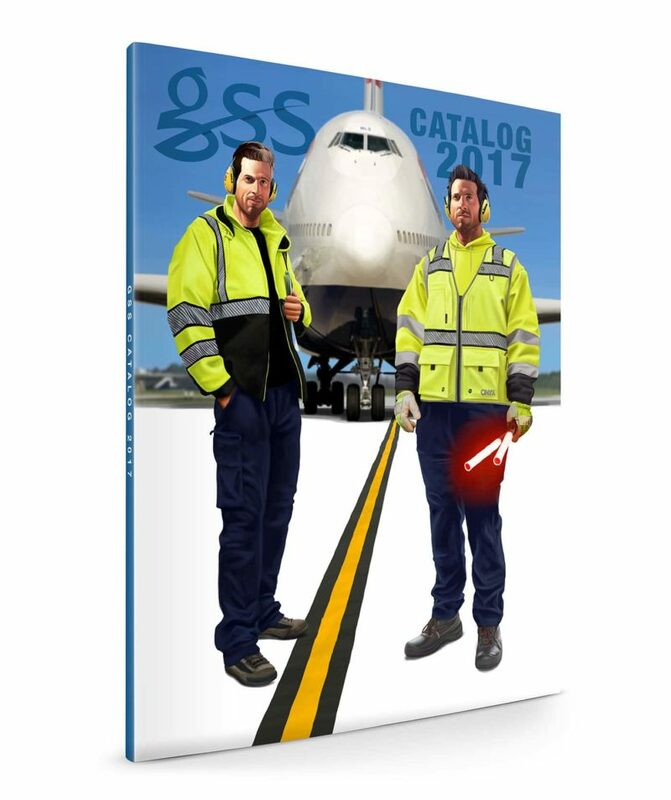 A background image will be developed and used, to allow the character to be feature on the 2017 catalog/brochure cover.